Create professional quality indexes without the expense of custom index sets. 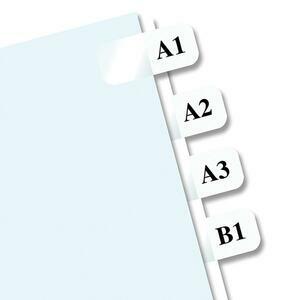 Nontoxic tabs feature self-stick permanent adhesive and attach to side or bottom of any size page for maximum flexibility. Refill packages include templates and instructions.